Exculpatory Evidence Federal Defense Attorney - Oberheiden, P.C. Does the Government Have to Disclose Exculpatory Evidence? The U.S. Constitution. Government disclosure of material, exculpatory, and impeachment evidence is a pertinent element of a fair trial and, as such, a constitutional guarantee. Brady v. Maryland, 373 U.S. 83, 87 (1963). Evidence helpful to the defendant must be disclosed ipso iure, that is, regardless of whether the defendant makes an explicit request. Kyles v. Whitley, 514 U.S. 419, 432 (1995). Evidence is material when a reasonable probability exists that the implementation and use of the evidence will result in an acquittal. United States v. Bagley, 475 U.S. 667, 676 (1985). Disclosure. Government attorneys have an ethical obligation to share evidence with a defense lawyer. That obligation includes exculpatory evidence. To avoid appeals and possible sanctions of the government lawyer, courts encourage prosecutors to favor disclosure over non-disclosure to avoid the sometimes difficult determination as to whether or not the use of existing evidence will lead to an acquittal. For the disclosure to be helpful and therefore effective, due process and fair trial maxims mandate disclosure of exculpatory and impeachment evidence prior to trial. Weatherford v. Bursey, 429 U.S. 545, 559 (1997). Example. If an agent notes in his report that he cannot be certain that he actually saw the defendant being part of a criminal transaction and only believes so from the circumstances, this information would be mandatory to share with the defendant and his attorneys since the lack of identification in this example presents a reasonable probability of acquittal at trial. Again, prosecution policy mandates that any information—regardless of whether it is evidence or not— that questions the culpability of the defendant must be disclosed voluntarily. Types of Disclosure. The two most common forms of disclosures in practice are information that will negate an element of an offense as well as the disclosure of information that may provide the defendant an affirmative defense. An affirmative defense is where a defendant may have committed an act, but the action is justifiable and the defendant should not be found guilty of the crime. Disclosure of Witnesses. Disclosure of government witnesses is slightly different than disclosure of information. Here, the government is not automatically required to disclose the identity of witnesses during the pre-trial phase. The Victim and Witness Protection Act of 1982 provides the prosecutor discretion, in particular if the prosecutor reasonably believes that an identity disclosure could result in repercussions or may endanger the witness’s safety. In practice, prosecutors frequently balance the risk of disclosing witnesses with the interest of justice. After all, if a defendant knows, for example, that several acquaintances are willing to testify against the defendant and are disclosed and presented as witnesses, the likelihood of a plea agreement and, with it, of a speedy resolution of the case may well increase. Part of the prosecutor’s discretion under the Victim and Witness Protection Act of 1982 is to disclose names of witnesses, but not their whereabouts. To protect the integrity of the judicial process, a prosecutor may also put a witness under special protection under 18 U.S.C. Sect 1514 and similar provisions. Are you facing a battle with the federal government? Is the government not considering exculpatory evidence in your case? Are you waiting for the disclosure of evidence? 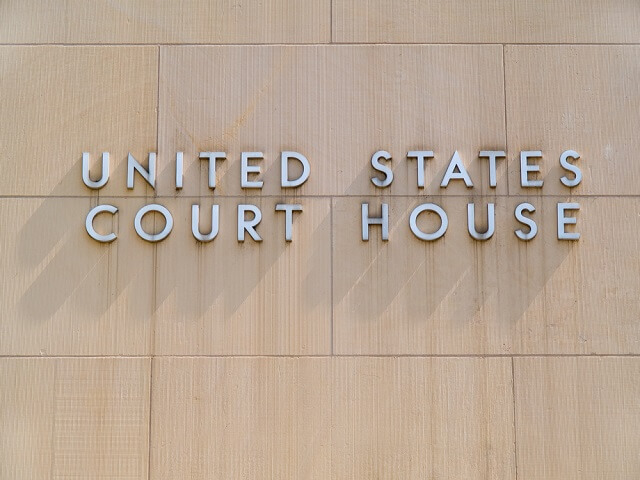 Call Oberheiden, P.C.. Our attorneys have handled hundreds of federal cases in courts across the country. Call us today and speak with one of our attorneys directly at (800) 810-0259.